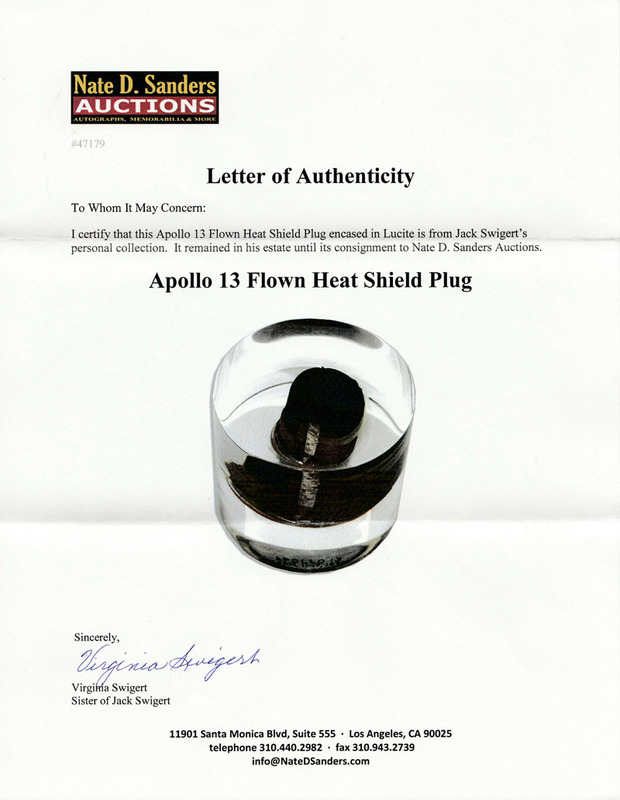 This Apollo 13 Flown Heatshield Plug came from Astronaut Jack Swigert's personal collection. 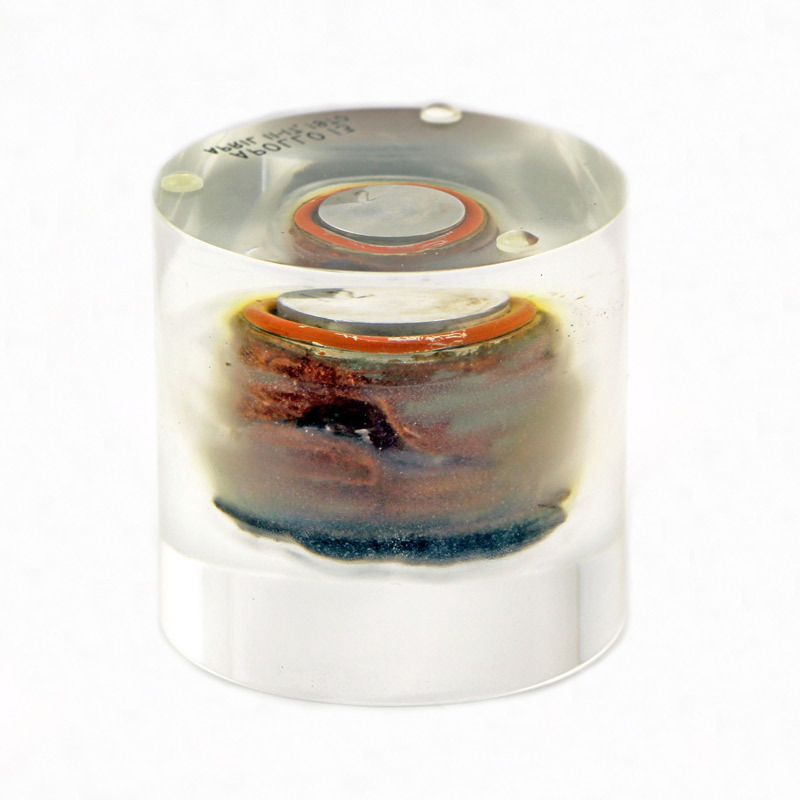 The flown heatshield plug is encased in a circular piece of lucite and engraved in black along bottom, 'Apollo 13 / April 11-17, 1970'. 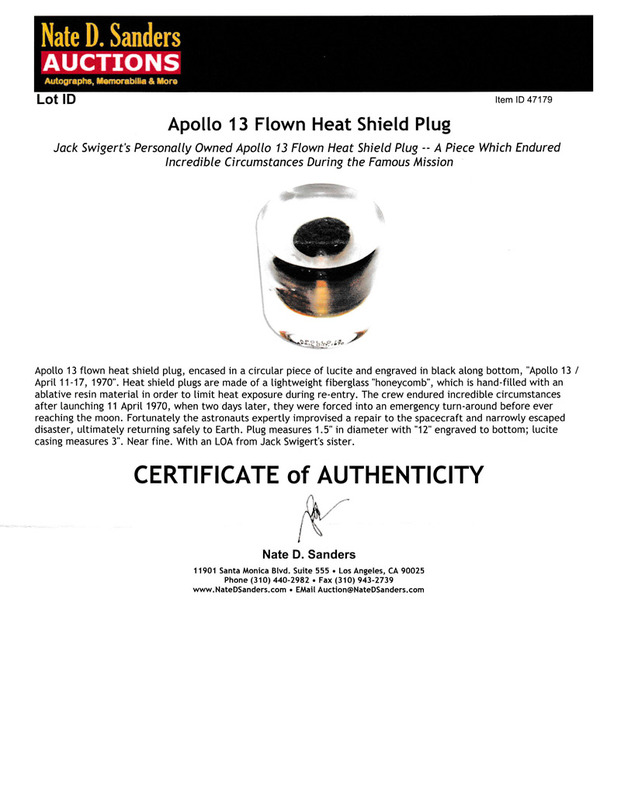 Heatshield plugs are made of a lightweight fiberglass 'honeycomb', which is hand-filled with an ablative resin material in order to limit heat exposure during re-entry. 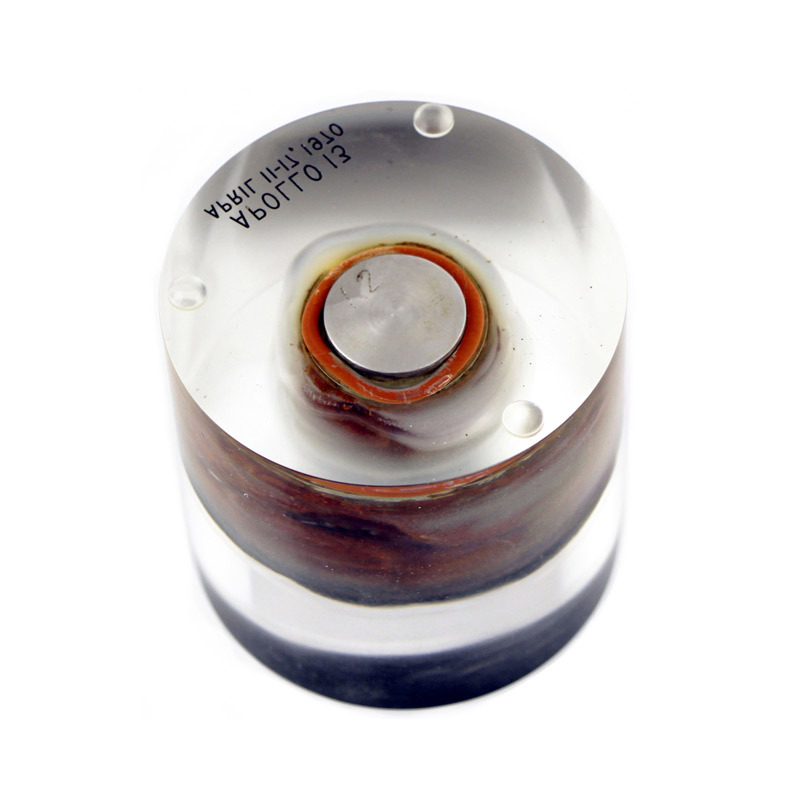 The plug measures 1.5" in diameter with '12' engraved to bottom; lucite casing measures 3". Comes with an LOA from Jack Swigert`s sister. 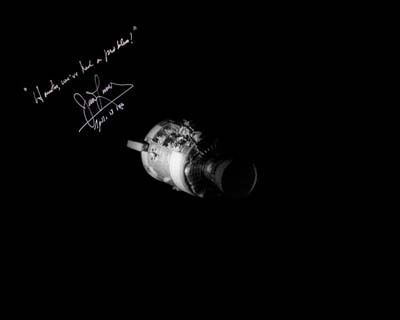 Swigert was one of three astronauts aboard the ill-fated Apollo 13 moon mission launched April 11, 1970. Originally part of the backup crew for the mission, he was assigned to the mission three days before launch, replacing astronaut Ken Mattingly. The prime crew had been exposed to German Measles (the rubella virus) and, because Mattingly had no immunity to the disease, NASA did not want to risk his falling ill during critical phases of the flight.